Mercedes Benz has had a long a successful innings in India ever since they officially entered the Indian car market way back in 1994. The onslaught began with the W124 model series E Class sedan and since then Mercedes has been gradually increasing its product offerings for India. In order to suit the demands & tastes of the increasingly aware customer, there have been regular model updates & replacement for the E class which has become the bread and butter model for Mercedes Benz India Limited. 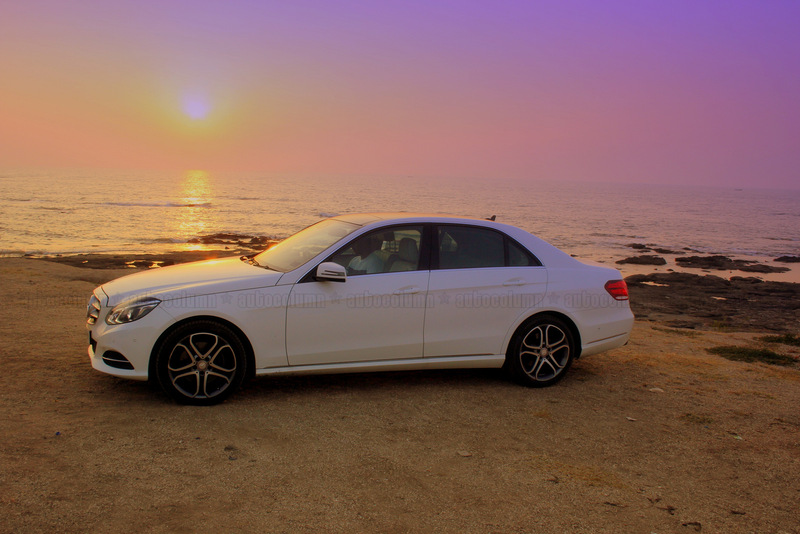 The current E class sold in India is the face lifted W212 model that has as recently as 2013 been given a mid-life update. So cutting through the chase, we ask a simple question- Is it worth it? Well, let’s find out. 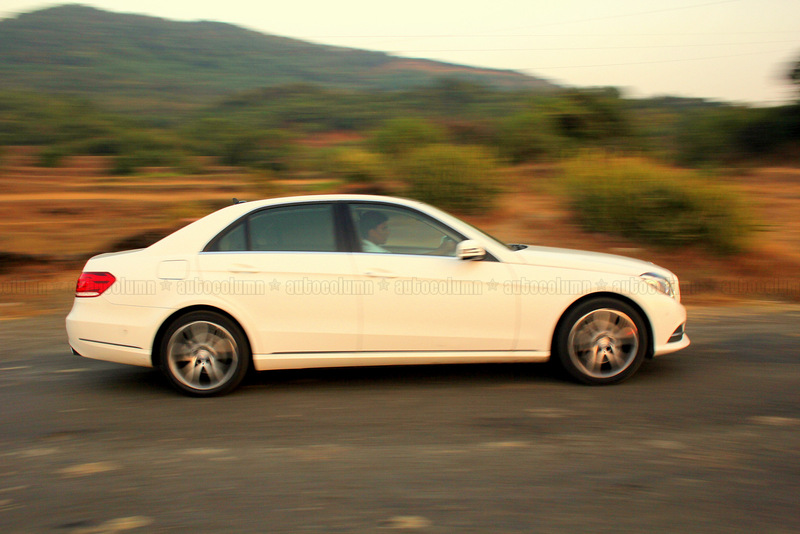 Personally, I have always had a love-hate relationship with the E class models in India. The earlier W124 that came into India in the 90s was boxy, but the shape was quintessential Mercedes and thus very distinctive. Unfortunately this model was associated more with taxicabs plying across the world and thus 1996 saw the W210 being launched in India. Now this was one ugly machine. Round headlamps that looked slightly bug-eyed with a gaping front grille was not something that was to my liking. I still remember this, my friend’s father had one and I used to constantly badger my friend about his dad’s ugly car. 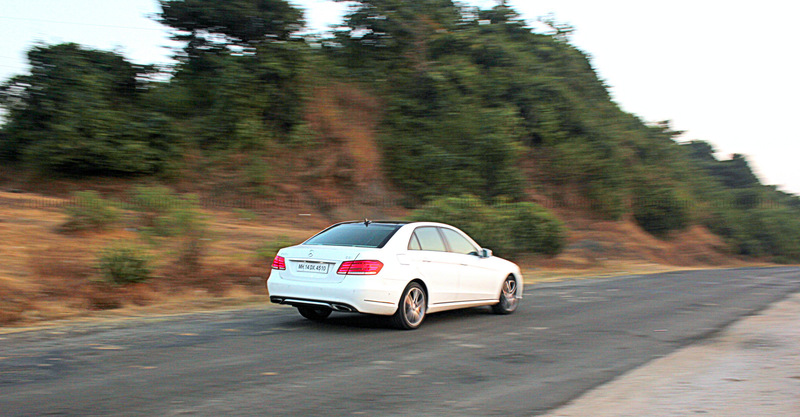 Thankfully around the early part of 2003 we saw the W211 series E class come into to India. This was way sleeker and cooler and the fact that it was shown in the movie ‘Men in Black II’ kind of added to the oomph factor. Yessir, this was a looker and she looked every bit a film star. The W212 series E class that globally replaced the W211 series in 2009 went back to the trapezoidal/squared design strategy and gave the E class a different look. And so there we have it, the E class history in India put into a nutshell for you, dear reader. What does need to be mentioned though is that a lot of thought process went into the E Class for the Indian market and as a result we saw a wide variety of options & features being introduced, removed & modified on the E class model family through the 20 years that it has been here. With this, let’s get to the meat of the matter that I am sure you are all eagerly looking forward to. 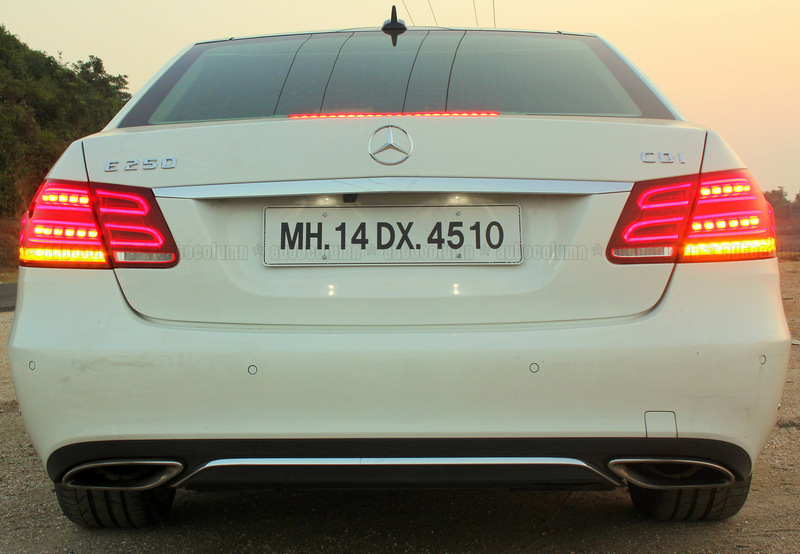 The 2014 spec E class model has been heavily reworked & redesigned considering the target consumer that Mercedes India has identified. There are a number of sporty elements & additional features that have been added to the E 250 Cdi and we shall attempt to go through them all. Let’s start with the exteriors first. The 2014 mid-life upgrade has seen Mercedes designers opt for a more sporty and swoopy element to be added to the design philosophy. And yes, all the hard work they have put into it definitely shows. This one is definitely a showstopper with her muscular bulges, graceful form & aggressive side design language. The front of the E250 CDI looks very aggressive with the spoiler, bonnet bulge & jutting out lip giving it a sense of purpose. Probably the best way to see it in three quarter profile. While the E250 Cdi uses the same body shell as its predecessor, the lines are definitely very different as is the attention to detail. As a result while the dimensions are essentially similar the end product looks very different. 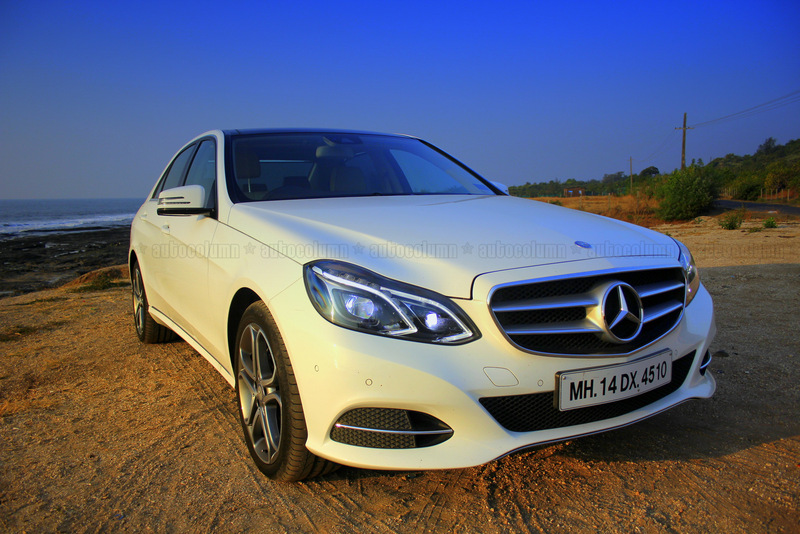 Mercedes Benz India Ltd. has taken the right decision to offer the 2014 E Class in Avantgarde trim in India. This results into a very smart looking package indeed and an aggressive looking one at that. Attention is immediately drawn at the front to the new look bumper and twin headlamps that have been comprehensively restyled. The DRL units from the previous model that were incorporated in the bumpers have been scrapped in favour of low beam LED units with DRLs incorporated in the sealed beam itself. High beam is via regular projector HID units. Seen head-on this gives the car a very strong and sporty visual appeal. The twin louver radiator grille with a massive 3 pointed star mounted up front gives the front end a lot of character. Move to the sides and you will be wowed by the way the character lines make the car look as if going very fast even when standing still. The swoopy lines and the central crease give it the illusion of movement- very fast movement that is. Another look at the side profile. Looks racy even standing still, don’t you think? Go on back and the first thing you notice is the sporty treatment given to the rear end with split tail lamps and a very sporty rear bumper that incorporates 2 squared off exhausts on either corner. The tail lamps get the full Monty with standard LED treatment allowing the light intensity to vary depending on lighting conditions. They are a definite treat on the eyes. Seen in side profile, the sedan looks very purposeful with very short overhangs front & rear which belies its sporty intent. Those LEDs are very tasty and vary their intensity according to surrounding conditions. Very groovy indeed. Open the doors & slide into the comfortable seats in the cabin, the first thing that strikes you on the E250 Cdi is the elegance of the interiors. 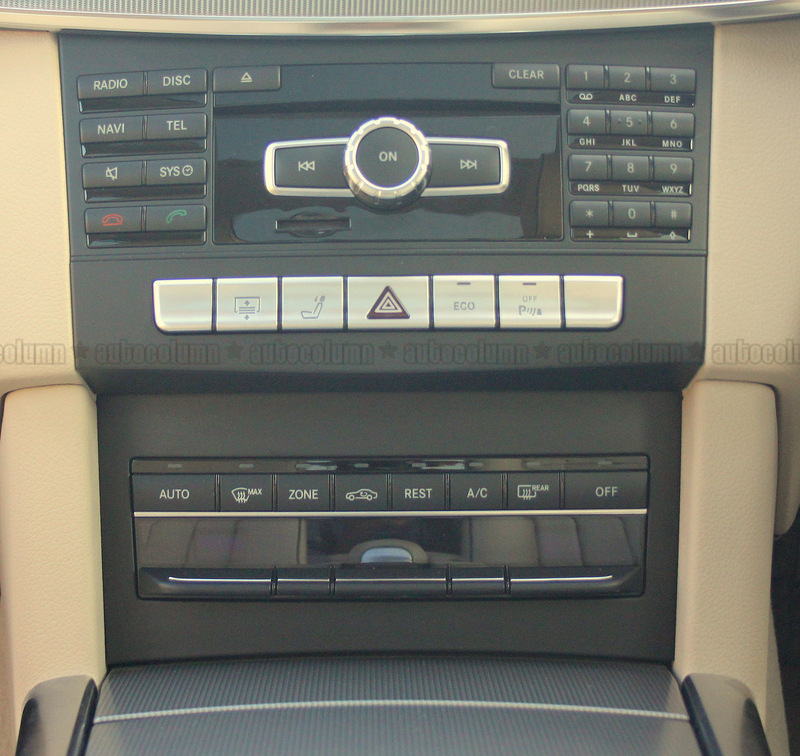 Our car came outfitted with all-beige interiors which ended up giving the cabin a very light & airy upmarket feel. Compared to the E200 petrol that we drove (with all black interiors) the cabin on the E250 seemed much easier on the eye. 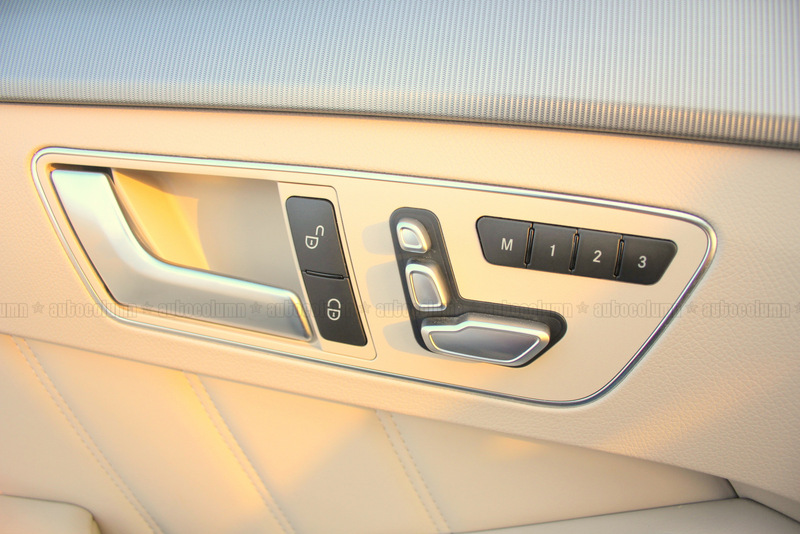 Trim levels are extremely good with quality showing through everywhere, right from the analogue design centre mounted clock right upto the choice of material for the interiors. I personally liked the silver accents given to the whole dashboard. Amazing job on the interiors. Aluminium feel panels give an upmarket feel to the cabin while beige interiors make it look light & spacious. Bang in centre is the centre console with the familiar MB design elements that we now see across most models in their range. While not exactly as complicated as a space shuttle’s centre console, I personally would have liked lesser buttons so as to not get overwhelmed. But the layout is good indeed, no doubt. While the sheer number of buttons can get mindboggling at times, the layout is very comprehensive. 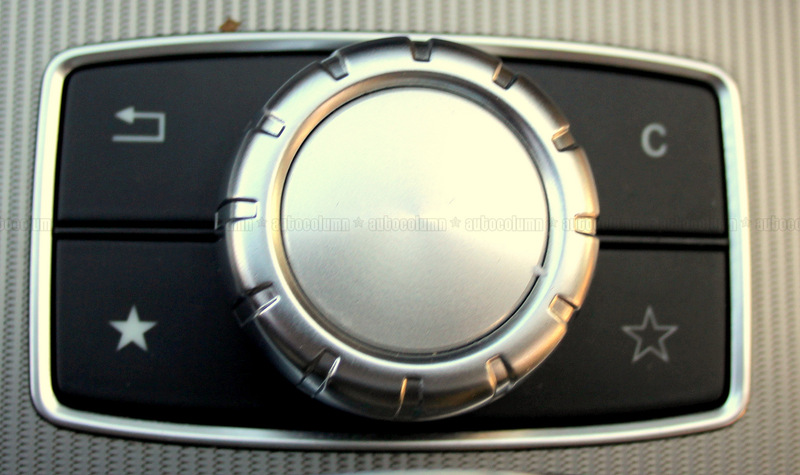 Note buttons for the 2 zone automatic Climate Control System. The AC vents were again one thing we all liked and the louvers give it a certain element of grace. Going over to the 4 spoke steering wheel & the instrument console & tell-tale lights, we see a nice and chunky wheel that feels just right. 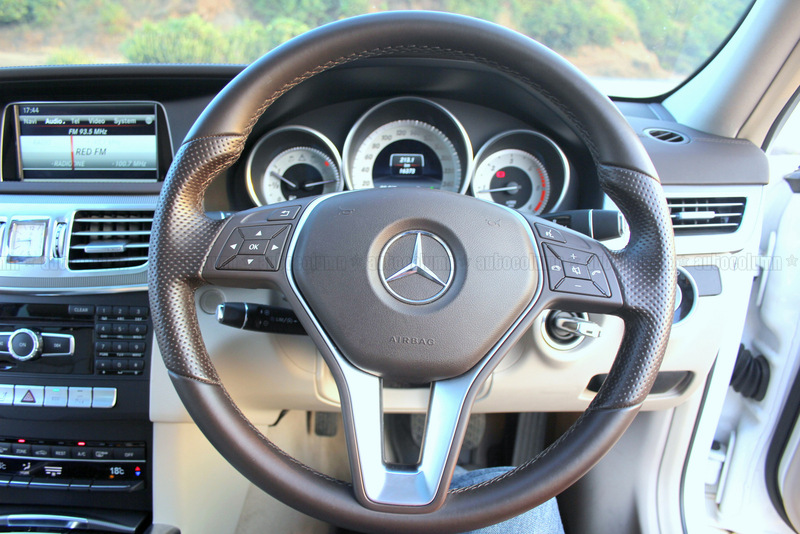 The steering wheel has a familiar Mercedes layout. The new Direct Steer system on the E250 CDI is supposed to improve agility & reduce steering effort. The instrument console is a 3 pod design and looks very smart & sporty with a very clear layout. I was especially impressed with the way it lit up at night. Very soothing effect and in no way was it able to distract me while driving. Our car had a 2 zone THERMOTRONIC automatic climate control system that kept all of us nice & chilled in the heat of the day while we drove the car to Kashid to get a first-hand experience. Controls for all the essential functions were nicely laid out & easily accessible. One thing however that might take getting used to is the gear selector lever that has been placed on the right hand stalk behind the steering wheel. It can get a bit complicated and might even botch things a bit, but more on that later. There is ample storage space all around with cubbyholes in the centre panel & storage spaces under the front seats too in addition to the glovebox. It was much appreciated & well-used for the duration of the drive. The twin sunroof that came equipped on our car added in to the light & airy feeling in the car while also giving an increased feeling of space. The E250 Cdi comes equipped with an AUDIO 20 infotainment system that is wired to an easy to use rotary central controller placed between the front seats. 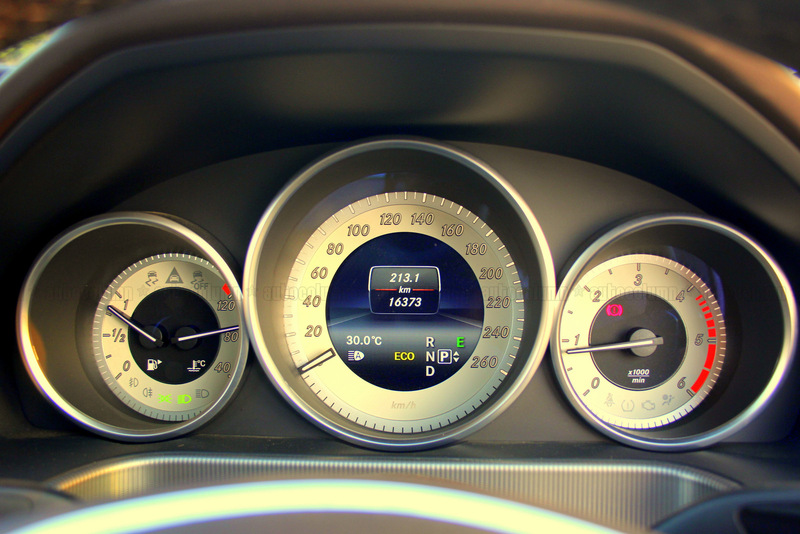 This is also linked to a 14.7 cm TFT LCD display mounted up front on the dashboard. This is your standard display which offers you the ability to navigate, view additional information about the 6 DVD changer system that comes equipped with USB & Bluetooth connectivity as standard. The sound quality was quite good with good punchy bass being delivered via the 6 surround speakers. The seats were very quite comfortable too, and cosseted in them we felt absolutely no strain whatsoever & had no aches & pains at the end of the journey. Another point that I always like to stress upon is legroom & the Benz was not lacking in that department either. I could comfortable stretch out both up front and back in the rear seat too. Job well done indeed Mercedes! Other features like the ambient lighting that can be changed according to your mood, Park Assist system etc. add to the premium feel of this mid-luxury segment vehicle. 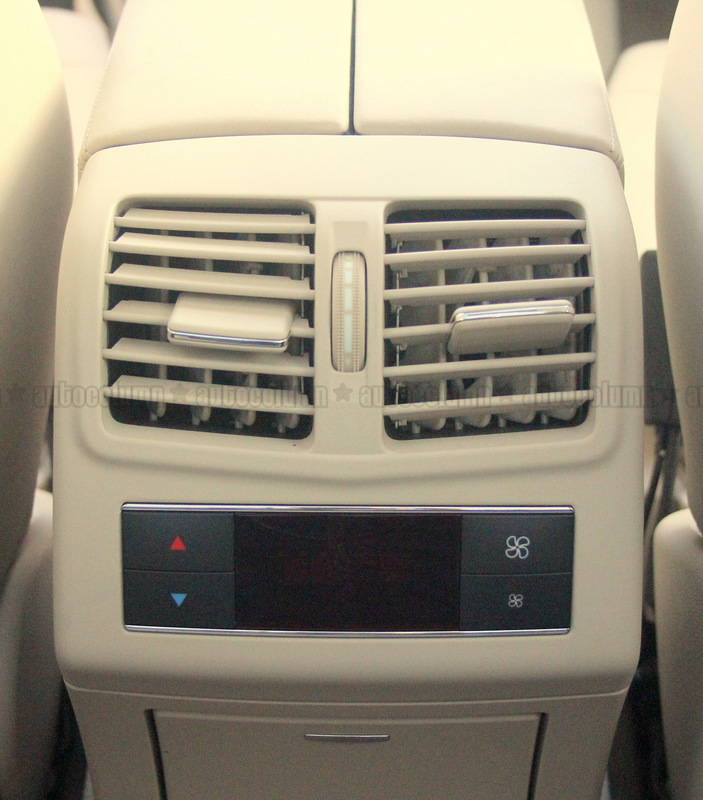 Passengers get controls for the rear AC vents in their hands. Another example of thought process that went into design. 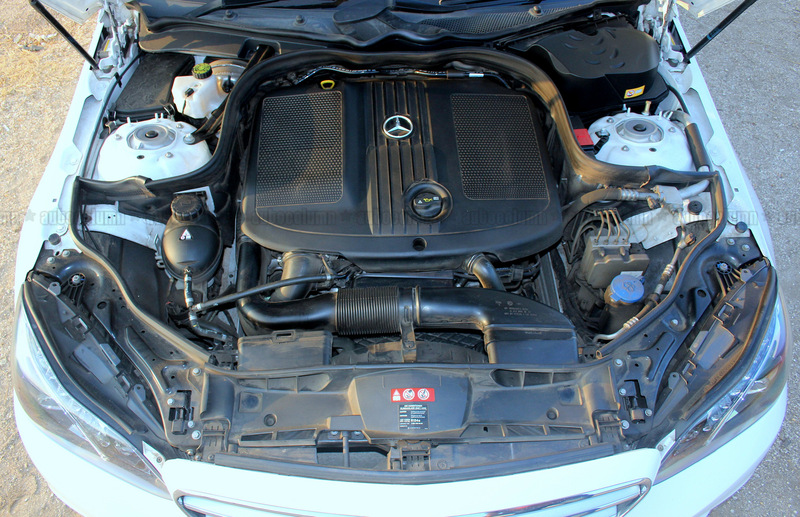 The E250 CDI comes fitted out with a 2143cc inline four diesel engine that is good for a power output of 204 Bhp @ 4200 rpm & peak torque of 500 NM produced between 1600 -1800 rpm. Power to the wheels is supplied via a 7g Tronic+ automatic transmission that also comes equipped with paddle shifters. Mercedes claim a 0-100 kmph. time of 7.5 seconds with a top speed of 242 kmph. While we did not get an opportunity to test out this claim, our initial impression of the figures was quite good and we are pretty sure that it is attainable. The engine also features a Blue Efficiency start stop system that we managed to put to good use in stop and go traffic conditions. Out on the highway, slot the box into Economy or E mode and the big lump of an engine turns a bit lazily but puts you into a comfortable cruising speed of between 110-130 kmph effortlessly. Demand more power from it in this mode and it lags a bit before serving up what you ask of it. However, slot into Sport or S mode and you can feel the difference. The engine note changes, power delivery is much more aggressive and the engine holds the gears much longer. The optimized 7-Gtronic+ system is much faster & better in terms of shifting gears courtesy enhanced engine & transmission software & a spanking new electro-hydraulic control unit. But power hungry monster that I am, I personally felt the engine did suffer from a wee turbo lag and could probably deliver a smidgen more power and a bit more aggressively. But that’s just me talking. For the sedate driver, this is more than good enough and the delivery is quite linear & comfortable. Drive continually in S mode and you will see duel economy coming down by close to 30% as opposed to E mode. Mercedes claims 22 kmpl as fuel economy figures. Fuel gets fed into the optimized combustion chambers via new generation common-rail technology enabling increased injection pressure upto 2000 bar quick response and precision metering through piezo injectors. Two Lanchester balancer shafts keep the vibes under check and greatly help control NVH levels. 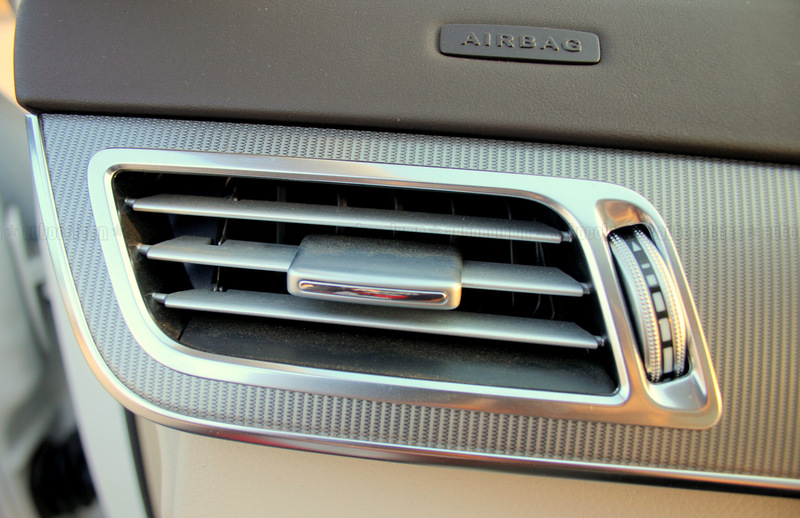 The radiator shutter is also worth mention here since it reduces the air resistance if it feels that the engine needs nominal cooling. The E250 Cdi features improved handling via the newly developed Direct Control suspension system that alters the damping characteristics depending on the road conditions. The car we drove came equipped with a sporty suspension setup which while quite stiff and responsive ended up dropping the ground clearance by around 12-15 mm. This ended up resulting in a couple of underbody scrapes courtesy the first couple of speed mountains (read speed breakers) that cropped up on the road via Pen. Once you get the hang of it though, then it’s easy to compensate by driving the car slightly sideways over the speed breakers. On rough bumpy roads though, we certainly did appreciate the damping that ended up in ride quality that was just right albeit with reduced ground clearance. There was none of that yo-yoing around on damping settings which are set for a very plush ride, nor backbreaking thumps courtesy over stiffened suspension. Out on the highway, at high speeds, it was pure magic though with the car showing no squirrelly tendencies while being chucked into sweeping corners. Yes, there was a little body roll, but nothing that could not be managed. Coupled with the AIRMATIC suspension, the ride was sweet. While the ground clearance suffers, the squat low look courtesy the updated suspension works wonders for handling. The E250 Cdi also features the new Direct-Steer system that is now offered by Mercedes as standard across the whole model range. It apparently has a much more direct steering ratio helping to reduce the steering effort to be taken by the driver. 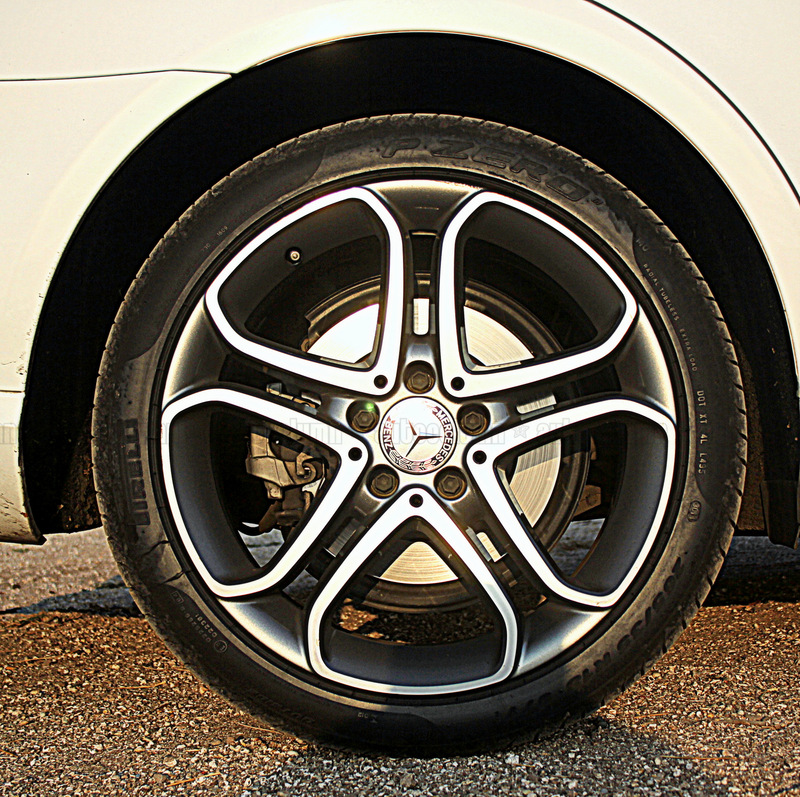 Mercedes also claim that this helps make the car more agile in terms of moving through bends. Personally, I found this system a bit lacking, making the steering seem overservoed and taking away the feel of the road. It was more like playing Forza on an Xbox via a gaming wheel, and everyone who knows me knows I just abhor that thought due to the lack of feel. I like my steering inputs to be fed into me straight from the road. But then again, bear in mind that this is a car that some upcoming yuppie is going to be driving. In most cases he/she would probably be chauffeur driven so it’s a very small thing to gripe about. 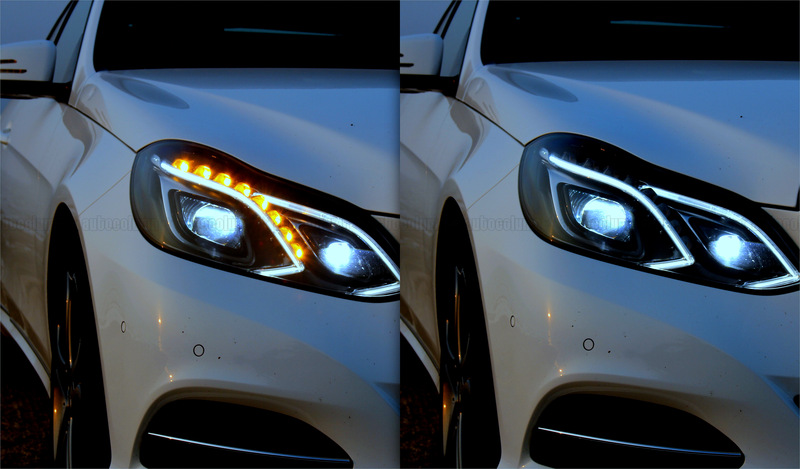 Adaptive headlamp assist where camera is used to control headlamp range adjustment and the main beams in such a way that the road receives the best possible illumination in line with the current driving scenario and the road users ahead . Active Parking Assist, including PARKTRONIC that helps when looking for a parking space or parking the car the driver receives support from the optional Active Parking Assist, including PARKTRONIC. With its ultrasound sensors the system can detect whether a lengthways or side-on parking space is large enough. ABS as standard with Brake Assist System (BAS) which helps prevent wheel lockup & can recognize emergency braking from the speed at which the braking pedal is depressed and can automatically supply full braking power. 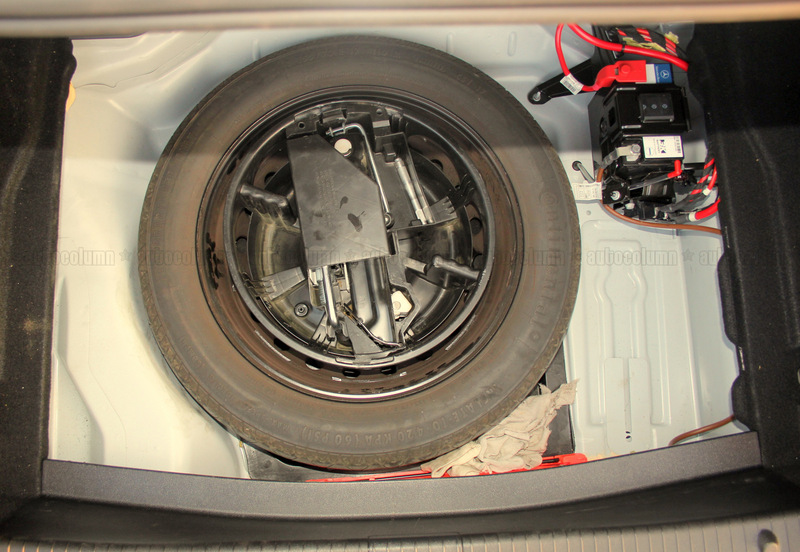 Acceleration Skid Control that ensures that the wheels do not spin when accelerating. Especially when moving off on snow, ice and gravel, the acceleration skid control prevents individual wheels from spinning and the vehicle from swerving to the side. Attention Assist function which helps on long journeys and when driving at night; the system warns the driver if it detects signs of failing attention and increasing weariness. Adaptive Brake system which improves ride comfort and safety by helping to perform critical braking maneuvers more safely with the basic function of the ABS anti-lock braking system, while convenience functions support the driver in everyday driving situations. ESP which again comes as standard helping to stabilize the vehicle by applying a braking force to individual wheels, and adjusting engine output. PRE-SAFE® occupant protection system which recognizes critical driving situations and, if necessary, pre-emptively activates reversible safety systems to help reduce the risk of injury to the vehicle occupants. Needless to say there are airbags all around with more than 8 bags on offer to help protect car occupants. 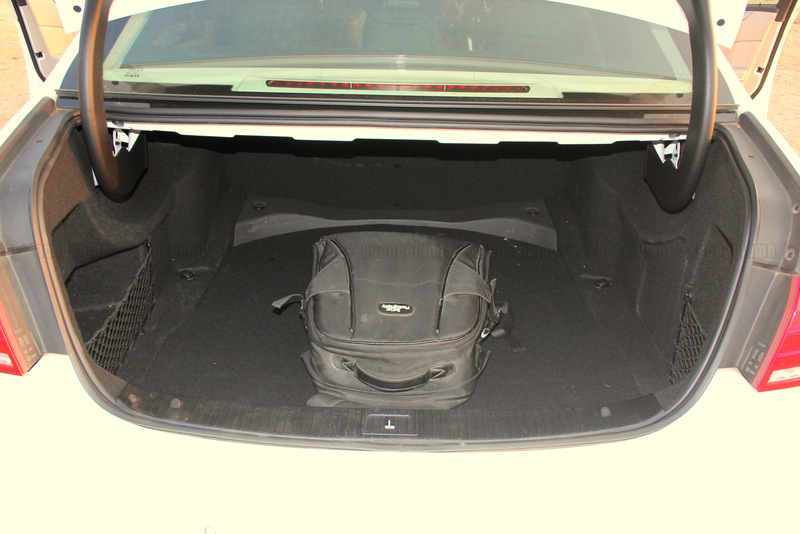 Also the battery has been relegated to the rear luggage compartment to prevent a fire risk in the event of a collision. All in all, this helps make a better case for safety and we compliment Mercedes on the various steps they are taking to enhance safety all around. 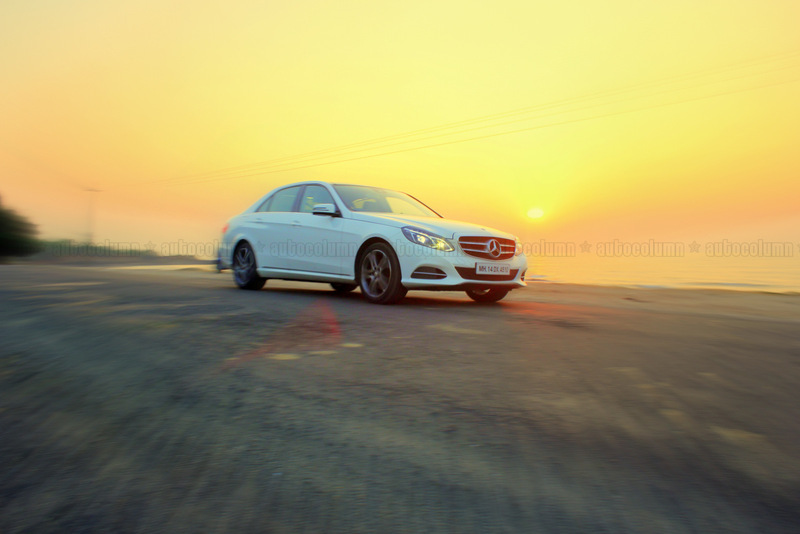 So there we have it, a firsthand review of the 2014 E250 Cdi. Now going back to our original question – is it worth it? Let’s take a quick recap. We gave it 9/10 on exteriors & visual appeal, 8/10 on interiors & features, 8/10 on engine & performance, 7/10 on Ride & handling & 10/10 for safety. 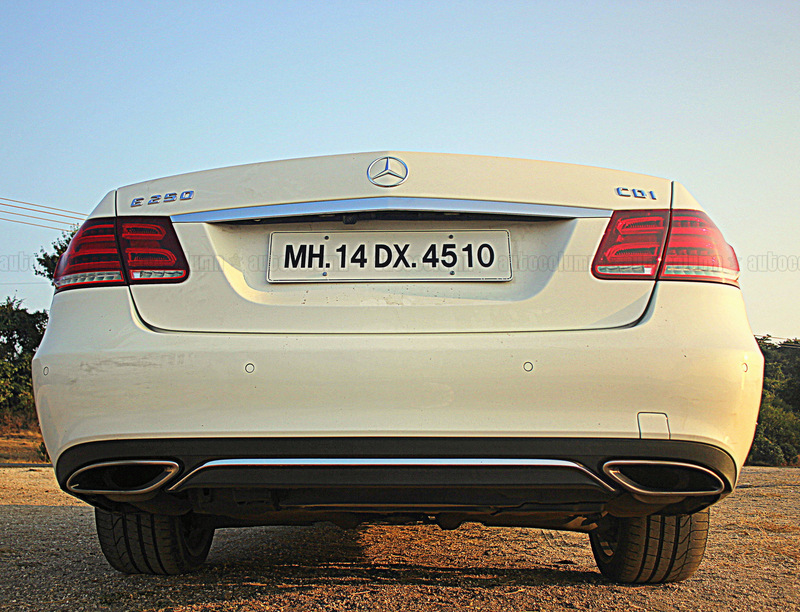 Out of a total of 50 points, the E250 Cdi scores 42/50 overall. That is not bad. Where she loses out on is in terms of reduced ground clearance which might make it a slightly expensive proposition in India given the state of our broken roads & mini Himalayan speed breakers. Another area she could do better in is giving out a wee bit more oomph to match the equally aggressive looks. Remember the drive selector stalk I was talking about before? Well, that in my opinion could at times be a safety risk. It is highly possible for a new driver to shift into neutral mistakenly at the wrong moment assuming it to be the indicator stalk. Not really a desirable thing, according to me. From my perspective, it is a potential risk. Tasty 5 spoke alloy wheels really complement the overall design. It’s really a question of balancing the pros with the cons here and I am in favour of going with the E Class. Given that you are going to be spending a lot of time in the rear seat getting whisked away from one destination to the other by the chauffeur, yes, it makes a good if somewhat pricey proposition. 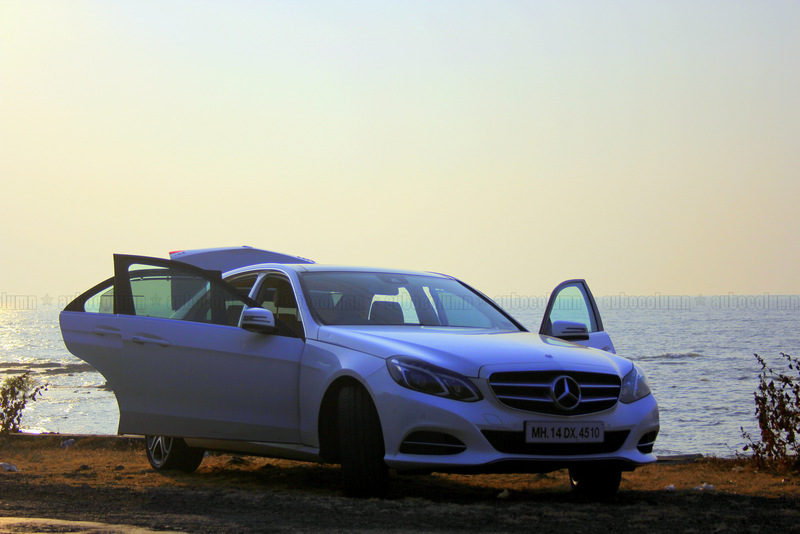 The E250 Cdi retails for around INR 45 lakhs ex-showroom for the Avantgarde model which is a bit pricey. However if you are a Mercedes Benz purist wants wants to have a 3 pointed star parked in your garage look no further. The 3 pointer deftly epitomizes grace, luxury and performance making the E250 Cdi a sensible option for you. Well at least until the next generation rolls in. Keep watching this space for more reviews coming up soon.